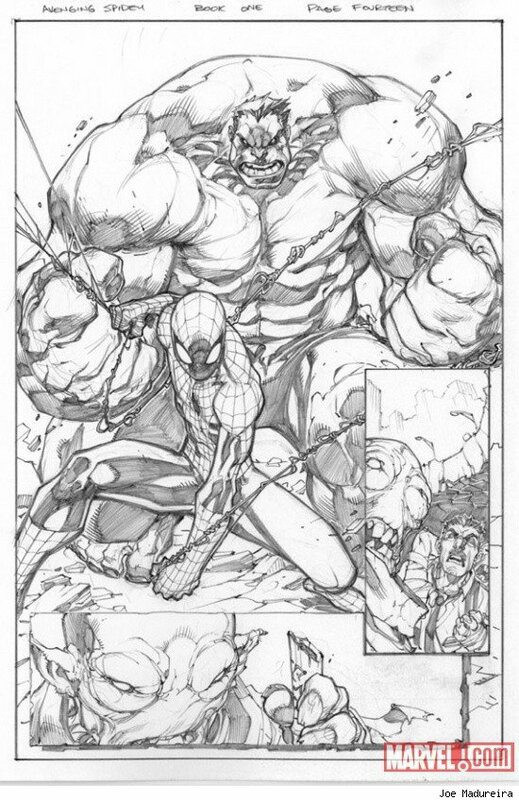 Kryptonian Warrior: Artist Joe Madureira Back With 'Avenging Spider-Man' Comic Series! 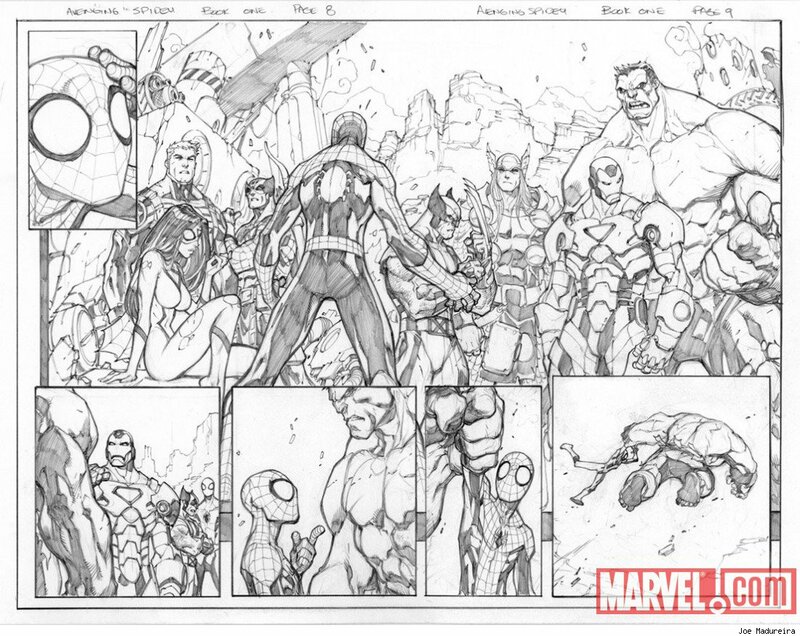 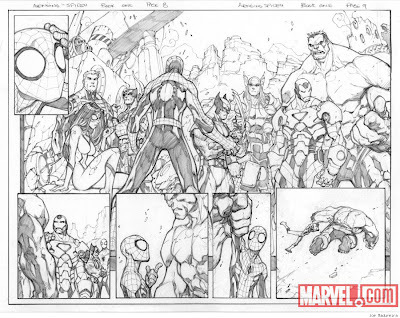 Artist Joe Madureira Back With 'Avenging Spider-Man' Comic Series! 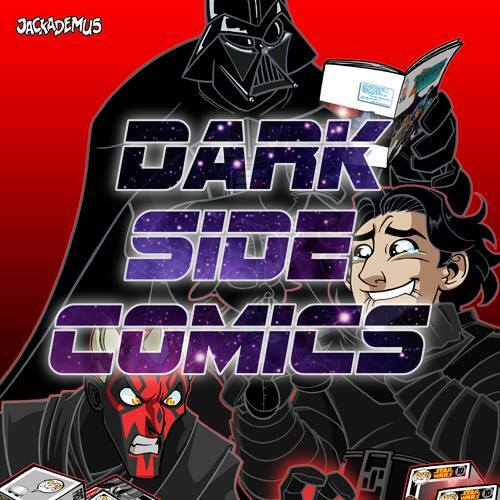 Joe is back in November along with writer Zeb Wells with a new comic series called 'Avenging Spider-Man'. 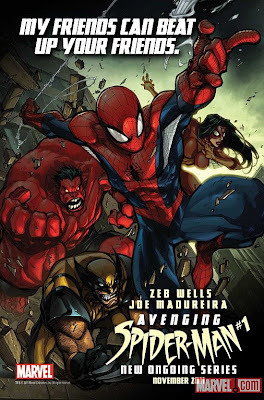 The new run will focus on Spidey's role as a superhero rather than on his soap opera life and will star famous faces such as Red Hulk and various Avengers (as you'll see below) and will be 'action-packed'.